The ongoing Scottish Independence issue has been a thorn in the UK’s side since the 13th century featuring such historical figures as Robert The Bruce, William Wallace and now, the perhaps less enigmatic, Alec Salmond. This week is going to see the decision to end all decisions (apparently), a referendum on independence by the Scottish people. The closeness in the vote has been widely reported and serves to ramp up the tension and poll-fatigue in equal measure. Just get on with it, will you? Key questions remain unanswered, despite the pontifications by both sides. How will the welfare state be managed? How will Scotland’s currency be handled? 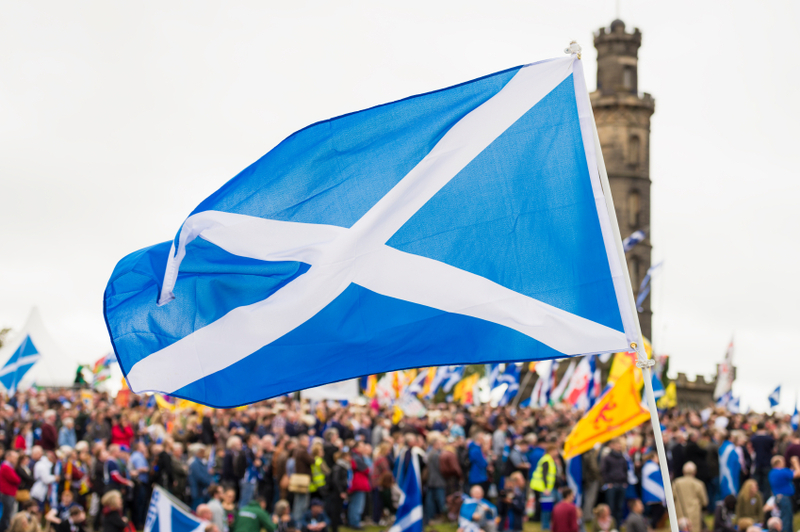 Will costs increase for Scots post-independence? What is Salmond really after? Voters, who are being led by a media often accused of being partisan (including the BBC), have been asked to decide based on contradictory and incomplete statements, with few reference points to understand how independence could work. The Isle of Man enjoys an independence in all but name that provides it autonomy in most respects. We’re a quasi-independent state, apart from our reliance on defence services provided by the UK. Whilst the UK Government has the ultimate control of Manx legislation, it rarely exercises this right. The last time this was exercised was in the 60s for the banning of pirate radio stations such as Radio Caroline. Scotland has a population of 5.6 million, the Isle of Man has just 80,000. Yet we have our own welfare state, National Insurance scheme and health service. These are all compatible with the UK systems, and collaboration is common where residents move to or from the island or require more advanced healthcare than is available on island. If we can finance our own welfare state, with apparently low taxation, why can’t Scotland? We have our own parliament (one of the oldest continuous parliaments in the world), with powers extending widely and deeply allowing the island to truly govern itself. We can set our own fiscal, social, education and infrastructure policies. A recent consultation for the island has seen the island moving towards the International GCSE, instead of Michael Gove’s revised exam standards. Scotland can already set its own educational agenda, though aspects of its social and fiscal policies remain Westminster-authored. The education model in Scotland is certainly intriguing, considering the higher-education funding for Scottish students. Stores have threatened higher costs for businesses which will be offloaded onto consumers. With or without currency union, a separate fiscal policy will undoubtedly add layers of complexity which may introduce additional costs. Residents of the Isle of Man can already attest to the higher expenses involved with living in a separate state, yet inevitably bound to the UK consumer market. Delivery costs are higher, food takes longer to get here and companies may need to domicile themselves as franchises within the island. In Scotland’s favour is the lack of the Irish Sea adding 12 hours to a delivery schedule. The currency question, despite threats from Mark Carney about the possibility of achieving currency union or parity, is arguably possible based on a similar model by the Isle of Man. Guido Fawkes outlines the possibilities of parity-Pound based on the Manx model, who manage parity despite a continued lack of oil reserves. Salmond himself has also recognised the Manx Pound, though unfortunately refers to the island as a “tax haven” betraying his statemanship. Then Scotland has its oil. How much they have, and whether it is actually theirs, England’s or Shetland’s remains to be seen. One thing is clear, the Isle of Man doesn’t have any yet we manage to fund ourselves (though apparently we’re going to have a look). Perhaps the Isle of Man is closer to what Salmond may actually want, Devo-Max. We’re able to benefit from a close working relationship with the UK but remain autonomous, enjoying the best of both worlds.